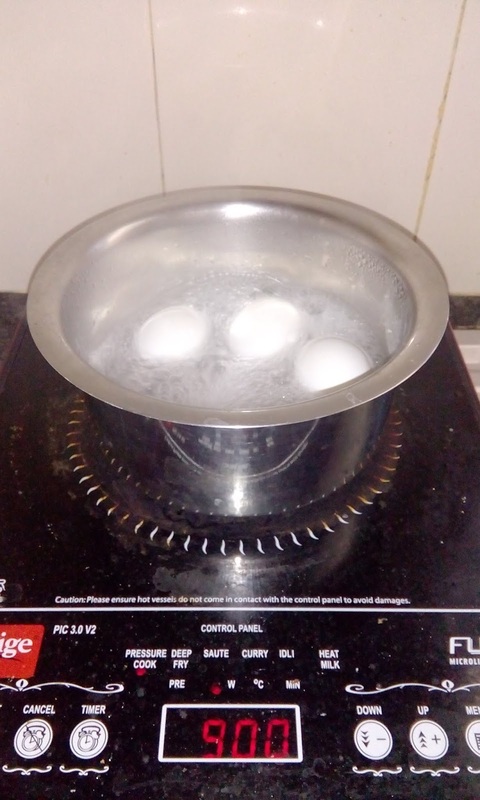 An induction cook top/ stove has gained prominence in most Indian homes as it makes cooking quick and easy. Using an induction stove, we do not feel hot as when compared to gas stove it does not give off heat. An induction cook top is commonly used to heat milk, boil water, etc, but it can be used to make idlis, cook rice, make curries, etc – in total cook all the things that we cook in a regular stove. There are several types of induction stoves available in the market. Even though, certain features differ from brand to brand and new improvements keep coming, the basic features are mostly the same. So if you have just bought and induction stove and do not know how to use it, then this post is for you. Since I have a prestige induction stove, the information given here are pertaining to it. 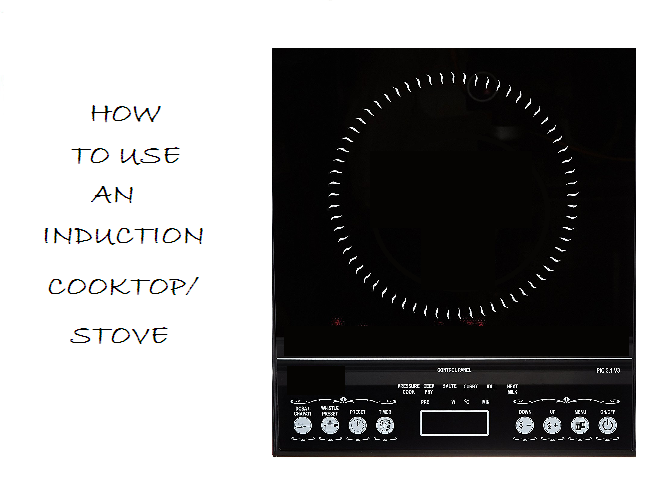 But you can use this information as a guide while using your induction stove. The most important thing to do after you buy an induction stove is to read its manual completely to understand it and its operation. Next is buying induction friendly pots and pans. 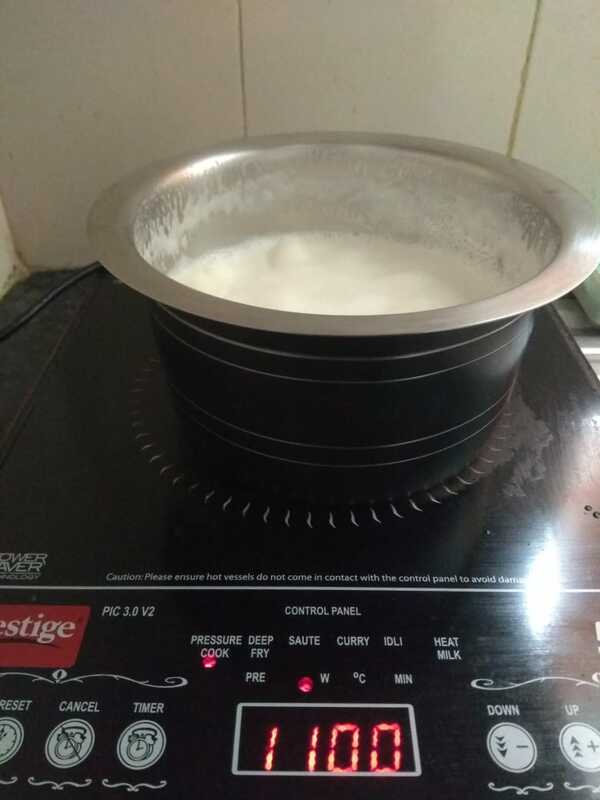 Induction based pressure cookers, skillets, pots and pans, idli stands, etc are easily available in the market these days. Further the good thing is that these vessels can also be used on the regular stove as well. While buying always look for a thick induction base in your pressure cookers and pans. Even though, you can go with basic induction friendly vessels; having this kind of base prevents the food from burning at the bottom. Always read the induction cook top’s operating manual before you start using it. Never keep your hands over the cooking area. It remains hot for some time even after cooking. Keep the induction stove out of reach of children as they can easily switch it On and hurt themselves. When I first moved to my new home, I used my induction stove to do all my cooking. I used it to make all types of curries, poriyals, chapathi, cook rice, make tea, idlis, dosa, upma, boil milk, etc. I even made pressure cooker biryani and sooji ki firni with it. 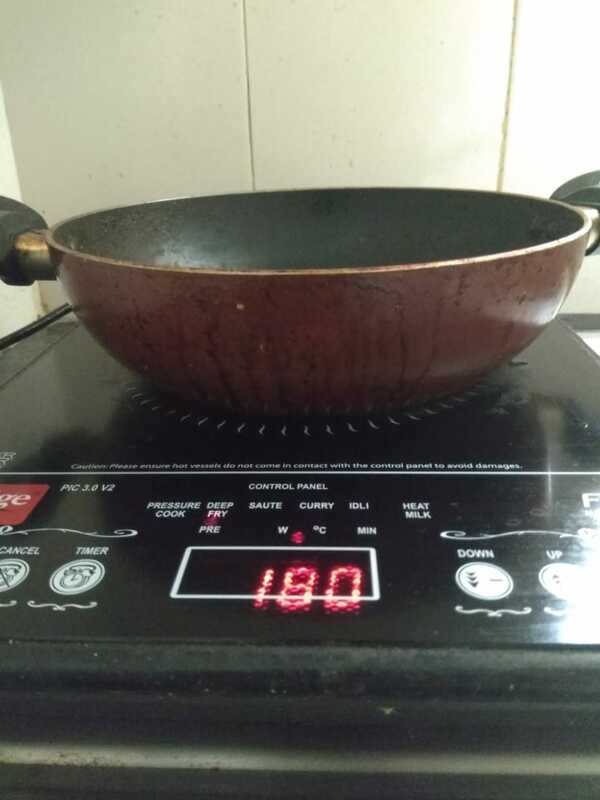 Here I am going to share the way I use my induction stove for regular cooking purpose. 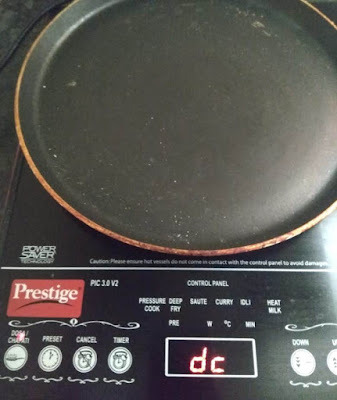 You can use this as a guide and use your discretion while using your induction cooktop/ stove. 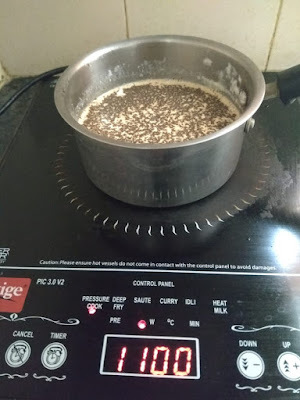 For boiling milk, use the menu for pressure cooking and reduce it to 1100. When it comes to a boil, switch it off, then again heat it and switch off. Repeat the process twice or thrice. Give a stir and switch off. For making tea, add water, milk, tea dust and sugar and bring it to a boil at 1100 and then switch it off. Then use the menu buttons to reduce the heat to 100. This prevents the tea from spilling out and the tea keeps getting cooked in low heat. After about 5 minutes when you get the right colour and taste, switch off the stove. For making idlis, select the menu for idli. The stove gets switched off automatically after 10 minutes and idis are ready. And for making chapathis, use the chapathi menu from the menu bar. For deep frying, use the frying option from the menu and use it to make medhu vade, fritters, pooris and all types of fried snacks. For pressure cooking, select the pressure cook option from the menu and reduce it to 1100. 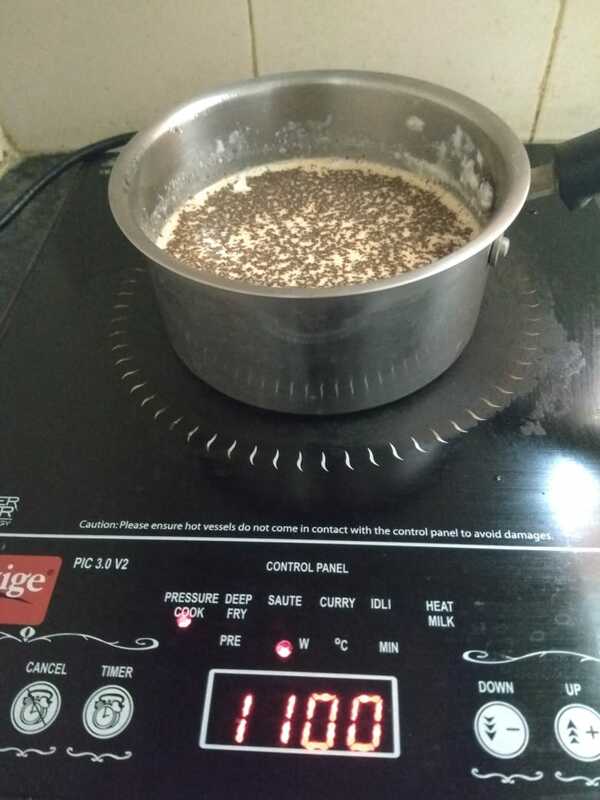 You can use an induction base pressure cooker to cook rice, pulao, biryani, and also make sambar, khurma and all types of curries. For making sweets, keep it at 900 and use non stick and heavy bottomed pans to avoid burning at the bottom. You can also use the induction stove to boil eggs, make poriyals, etc. I hope you found this post helpful. 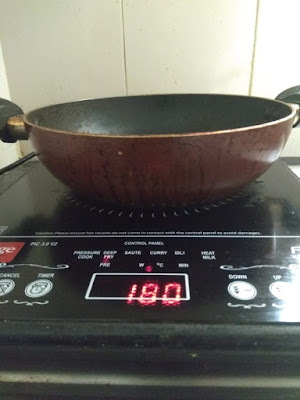 Here I have shared tips on using the induction cook top, the way I use it at home. But every appliance is different and hence use it accordingly. Do share your views, ideas and comments about using an induction cook top. This one is really very helpful post. I'm planning to buy one induction stove. Thanks for sharing the information.